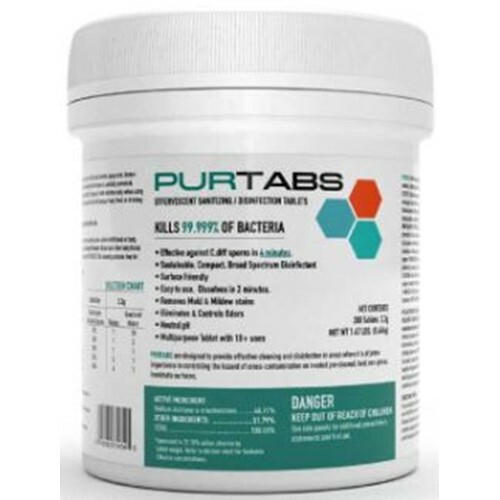 Safer than bleach, PURTABS 3.3g are a powerful and versatile disinfecting and sanitizing solution. Drop one tablet into the Protexus Sprayer tank to create a Hospital Grade Disinfectant with up to 800 sq. ft. of coverage area. Dissolve 4 tablets in the sprayer tank for the ability to kill C. diff in 4 minutes. No other product on the market is as versatile, affordable, and efficacious as the PURTABS 3.3g disinfecting and sanitizing tablet.